Walter Gropius was a founder of the Bauhaus design school in Germany. 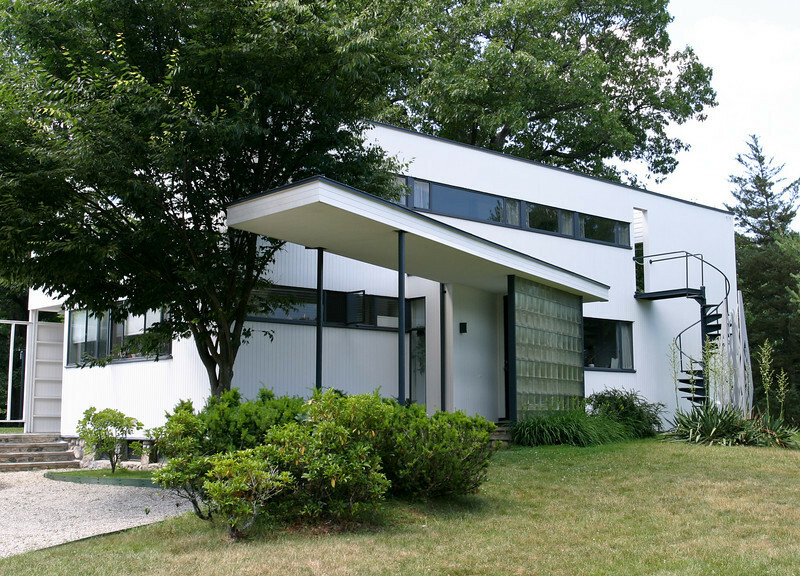 Before WWII, he came to the US to teach at Harvard's Graduate School of Design, and in 1937 he designed this house for his family. The house is preserved with the original furnishings, including furniture designed by Marcel Breuer and built at the Bauhaus. It is still a strikingly modern-looking house, inside and out.